I haven't craved much during my pregnancy EXCEPT this. as a kid growing up and it literally has love secretly hidden inside. No. Joke. If you are looking at it thinking, cheese and banana? Ewww. Don't knock it til you try it! 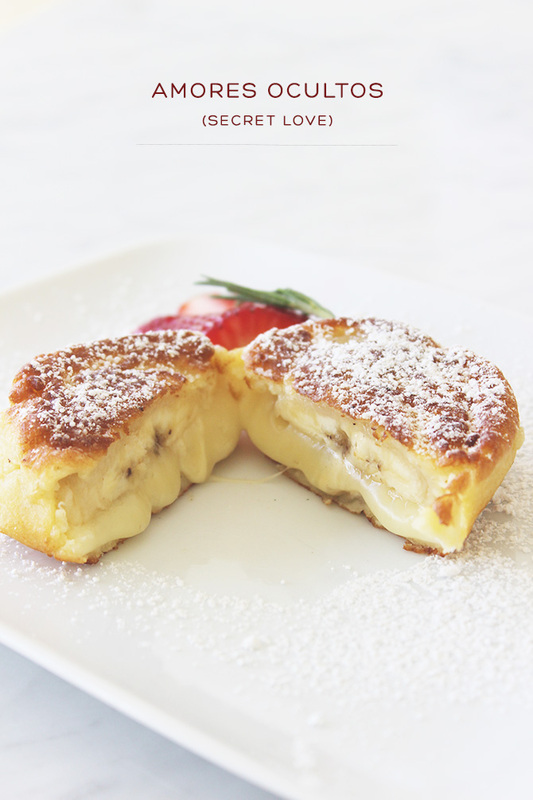 The cheese combined with the sweet of the banana really is a culinary match made in heaven. 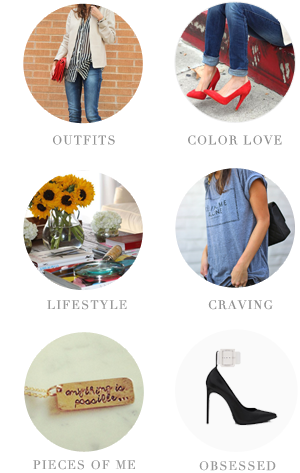 It's namesake is more than appropriate! It's the easiest thing to whip up and tastes like you spent a serious amount of time preparing it. 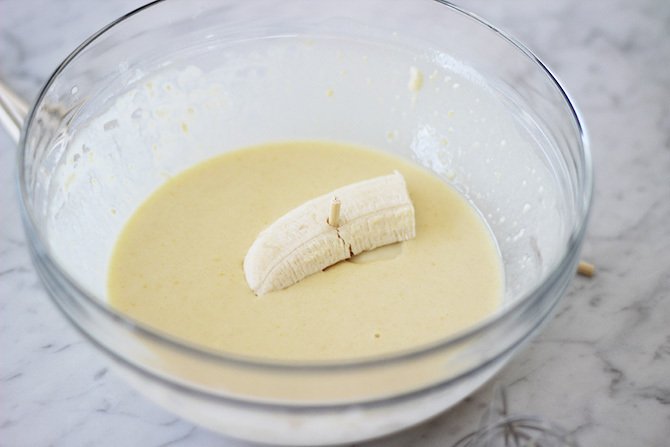 *throw all ingredients (except banana + cheese) in mixing bowl and whisk until combined. *cut banana into 3 sections and slice down the middle of each. 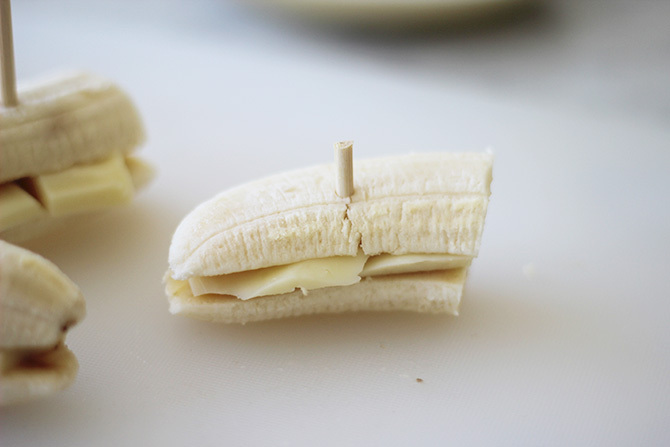 cut cheese into slices so they fit in between the banana. Secure with a toothpick. I didn't have a toothpick so I used a wooden skewer and cut it down. *cover banana and cheese with batter. *place olive oil in a small frying pan and heat until bubbles start to form. 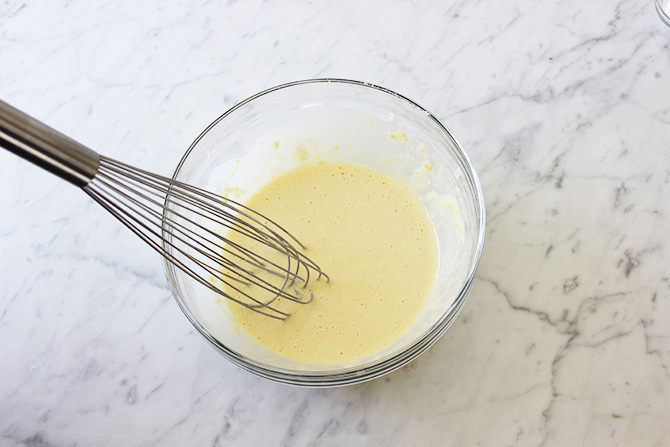 make sure to butter the inside of egg mold to ensure that batter does't stick. 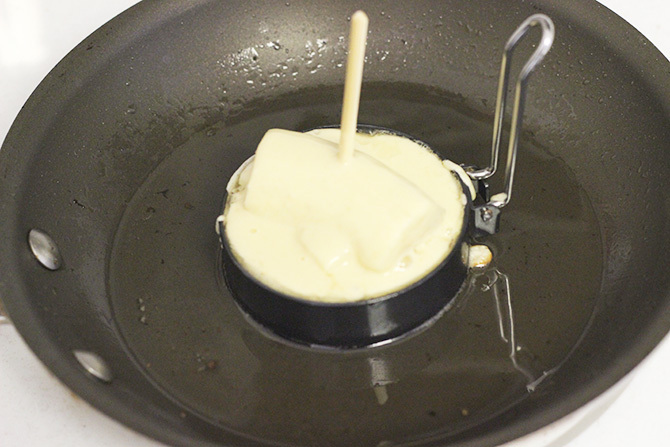 place mold in pan and then place banana in the center. pour additional batter inside mold so that it fills to the top. wait until bottom is brown and batter is set. then flip to other side. 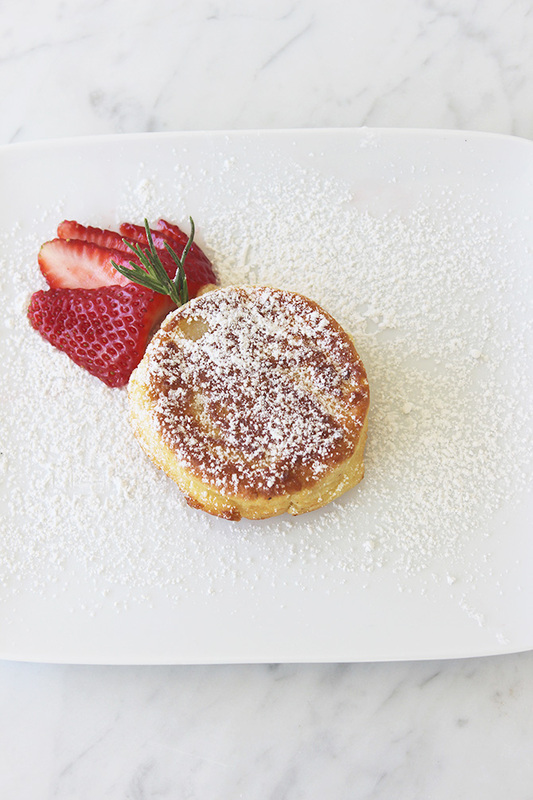 add powdered sugar to the top and enjoy! 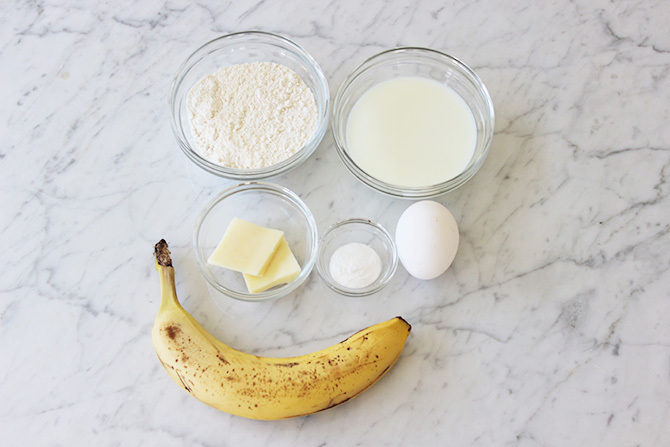 One banana makes 3 portions, so if you want to make more just double the recipe. seriously. this is GENIUS. YUM!! This looks delightful! I am going to have to make that --like this weekend!